Who are we? The New Pretender is a radical web-journal that seeks to argue the necessity of a left populist project as the only remedy to the present post-democratic neoliberal experiment gone wrong. We are a politically diverse, optimistic and radical team of young writers who are united in our opposition to elite power, and who argue together that radical ideas can and must infuse the heart of society and take power all over Britain, Scotland and Ireland. 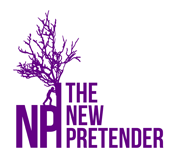 Here at The New Pretender we are committed to a radical politics of democratic populism. Our politics are left-wing, ecological, euro-skeptical, plurinational and transnational, and devoted to fulfilling the urgent demand inherent in the claim of popular sovereignty: that power is and will be made manifest in ‘the people’. We are working with the populist left in France, Italy and Spain to inspire political activity in the common interests of the common people in the different nations of Britain and Ireland. The New Pretender is part of an international network of democratic and independent media outlets, including Spanish, Italian and French partners. With them, we intend to develop new strategic thinking to enable the hegemony of our ideas. As writers, scholars and activists struggling within the broad tradition initiated by the writings of the Italian political thinker Antonio Gramsci, we understand politics as the task of constructing a new common sense, a new culture, a new ‘people’ – through strategic interventions we seek to give expression to a new politics, in which the ‘people’ revitalise our democratic life, and in which our voice, the voice of ‘the people’ is heard. Our enemy? Oligarchy, elite power and the tragedy that is neoliberal capitalism. Our name The New Pretender gets, for us, to the heart of the matter in several ways. In our shared culture in Britain and Ireland, the idea of the ‘Pretender’, carries historical and patriotic weight, calling us back to Bonnie Prince Charlie and the Jacobite cause of the mid 18th century. But more than that, the idea of a Pretender evokes something of the artificiality and instability of any given claim to power: Who has the right to govern? How did they get that right? And, how can we take that right away from them? What is our object? That the people shall rule by taking firm hold of the empty place of power. What is our method? Radical populism.